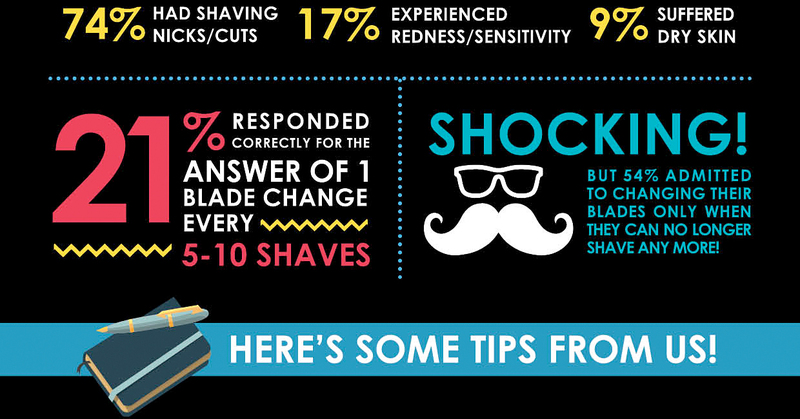 Infographic: How Often Should You Change Your Shaver Blade? « Tech bytes for tea? All of which could stem from using a blunt shaver blade! 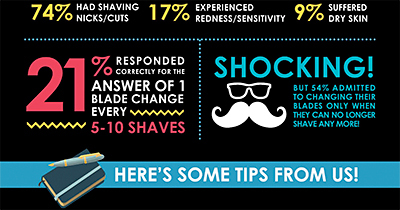 Schick did the study in conjunction with the launch of its latest Hydro 5 Sense hydrating shaver. This entry was posted on Sunday, March 31st, 2019 at 7:00 pm and is filed under Beauty, Figures, Healthcare, Infographic, infographics, Lifestyle, Study. You can follow any responses to this entry through the RSS 2.0 feed. You can leave a response, or trackback from your own site.